Scott Bemand has been appointed lead coach of the World Cup-winning England women's team with Matt Ferguson picked as his assistant. The pair will start their new roles on 28 May and report to Simon Middleton, the head coach of the XVs and Sevens. 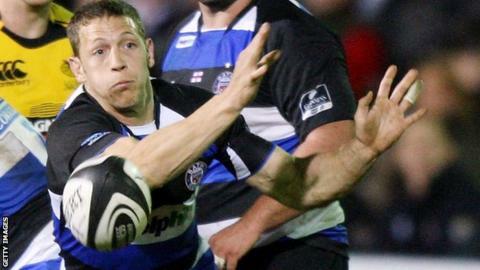 Former England scrum-half Bemand, 36, turned out for for Bath, Harlequins and Leicester during his playing career. "This is a really exciting opportunity to work with the reigning world champions," Bemand said. "With the sevens in the Olympics in 2016 and England set to defend their World Cup crown in 2017, this is a hugely significant period for England women and women's rugby as a whole, and certainly an opportunity that was just too good to miss." England won the World Cup by beating Canada last August but several of the players in that squad have since retired from international rugby. The Rugby Football Union parted company with Gary Street, who led the team to the World Cup, in January just before the start of the Six Nations. Nicky Ponsford, head of women's performance, said: "After a comprehensive process involving several rounds of interviews, we are delighted to announce the make-up of the new coaching team who will work alongside Simon."